“Allahumma I intend by my invocation of salat and salam upon the Prophet to conform to Your Command, to comply with Your Book, and to follow the Sunnah of Your Prophet Muhammad salallahu alaihi wasallam out of love for him, longing for him, and in exaltation of what is due to him; to honour him because he is deserving of this; so accept this from me; by Your Favour and Kindness, and remove the veil of heedlessness from my heart and make me from amongst Your righteous servants. Allahumma increase him in honour, in addition to the honour You have already conferred upon him, and increase him in glory, to supplement the glory You have given him. Elevate his rank from among the ranks of the Envoys, and his degree from among the degrees of the Prophets. I ask You for your Pleasure and for Paradise, O Lord of the Worlds, and for contentment in the religion, in this world and in the hereafter; and to die whilst living in accordance with the Book, the Sunna and the Jama’a, and by the testimony of faith, without changing or altering it. And forgive me, by Your Favour and Kindness towards me for what I have committed. Indeed, You are the Forgiver and the Merciful. 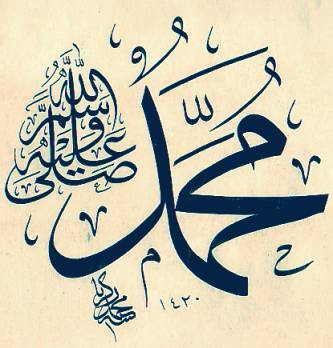 And bestow salat and salam upon our master Muhammad and his family and companions and give them peace”. Salam sister where can i get the arabic of the above intention with vowels? Also what darud sharif did imam al-haddad recite after this intention?